Sodium bentonite is used to seal leaking ponds and dams. It is also used to line the bottom of landfills for prevention of migration of leachate. In addition, bentonite can be used to seal the annulus of groundwater wells, to plug or decommission wells or for sealing groundwater monitoring well isolation aquifers. Bentonite can also be used for grouting geothermal heat loop systems, for quarantining metal pollutants of groundwater, or for waterproofing underground walls or basements. 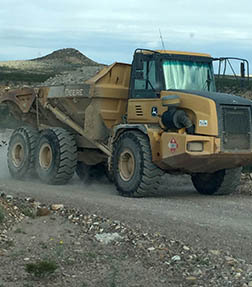 Sodium bentonite can be used for sealing subsurface disposal systems for spent nuclear fuel. It is used with synthetic materials to create geosynthetic clay liners (GCL), in slurry walls or cut-off walls as a barrier to prevent seepage or migration of groundwater that has been contaminated by toxic materials or industrial waste. Bentonite provides backfill for ionic electrode grounding rods or as anode backfill for corrosion prevention of metal structures. In cat litter boxes, granular bentonite forms an agglomerate when wetted. A typical agglomeration or clump forms a discrete concretion that hardens in an hour. The clumps stay intact and can be easily removed, leaving the remaining granules ready for later use. Bentonite is used in animal feeds as a binder in pellets. It also absorbs certain toxins in animals and prolongs the time food stays in the digestive system, allowing more nutrients to be absorbed by the animal. Its absorptive properties make sodium bentonite an ideal desiccant. Bentonite desiccants are used to protect pharmaceutical, nutraceutical, and diagnostic products from moisture degradation and extend their shelf life. In most common package environments, bentonite desiccants offer a higher absorptive capacity than silica gel desiccants. Lastly, bentonite can also be used as foundry-sand bond in iron and steel foundries for castings that use dry molds. We serve many industries, but premium quality is our constant standard. 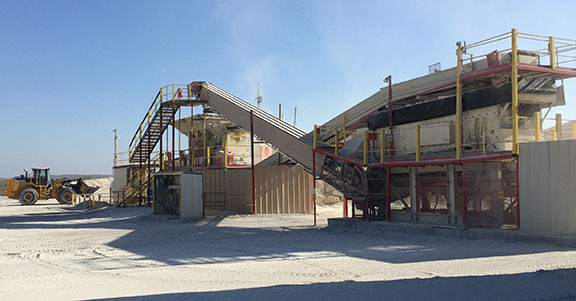 Through continuous testing with independent laboratories and our own stringent quality control standards and procedures, we strive to produce the highest quality sodium bentonite possible. We produce an all-natural product with absolutely no chemical additives. The bentonite products produced at our facility are NSF Certified to Standard 60 for use in drinking water applications. Our goal is to produce the highest quality sodium bentonite at a competitive price while providing unsurpassed customer service and support. We welcome the opportunity to earn your business. 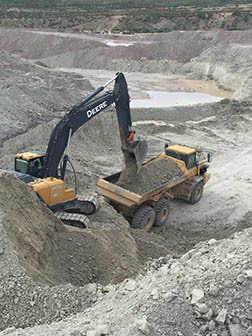 As you can see, Cowboy Mining Company bentonite products are used in a wide variety of industrial and consumer product applications. Check out this quick overview video tour of our facility. Click here for more sodium bentonite info.